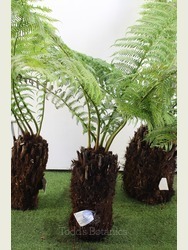 These are the perfect size if it's your first time growing tree ferns. 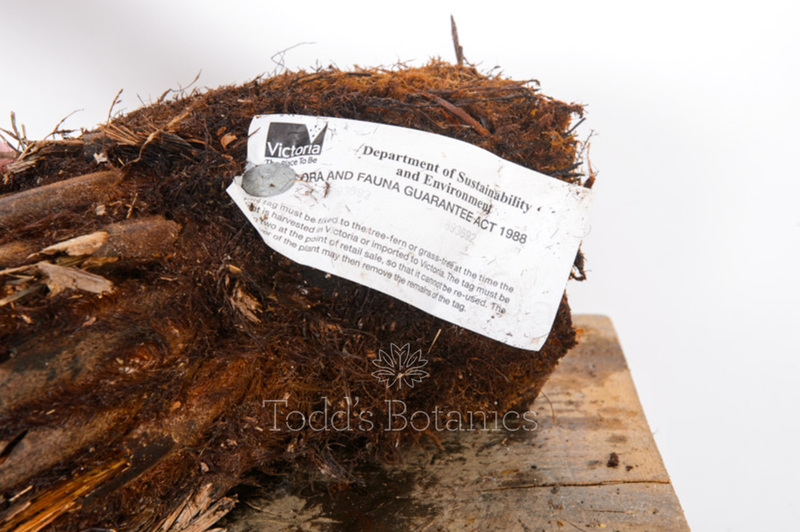 Brought to the UK under license from Victoria, Australia, each comes with it's own individual plant passport. 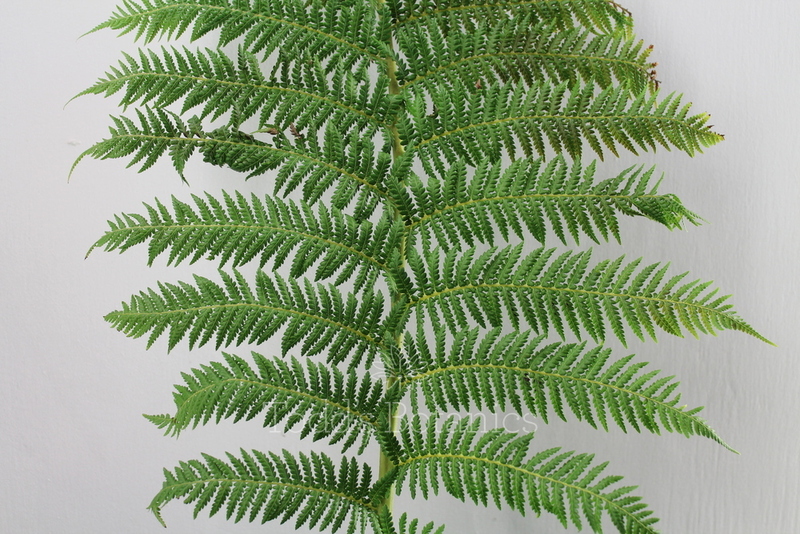 Dicksonia antarctica 1 foot/30cm trunk, 'Soft Tree Fern'. 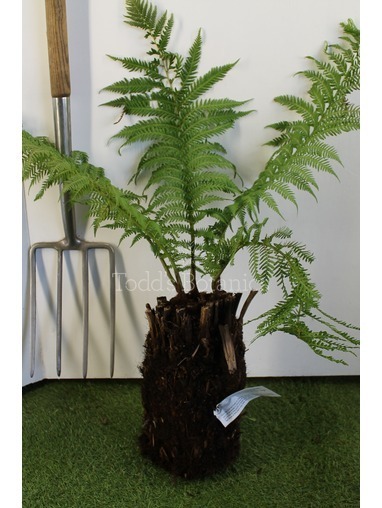 The hardiest tree fern for our UK climate. 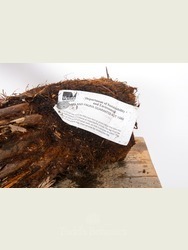 These tree ferns are brought in under license from Australia and all have individual plant passports. Tree ferns grow approx. 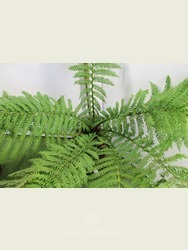 1 inch of trunk height with a new set of fronds each year in the UK. Water in to the crown frequently and feed with a quarter strength plant feed monthly during the growing season. 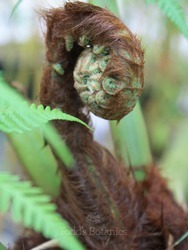 Tree ferns produce the most amazing vivid green fronds (ferns/leaves) straight out of the top of the trunk. The stalks of the fronds then start the slow process of forming the trunk. They prefer their entire trunk to be kept moist during the summer for optimum growth. 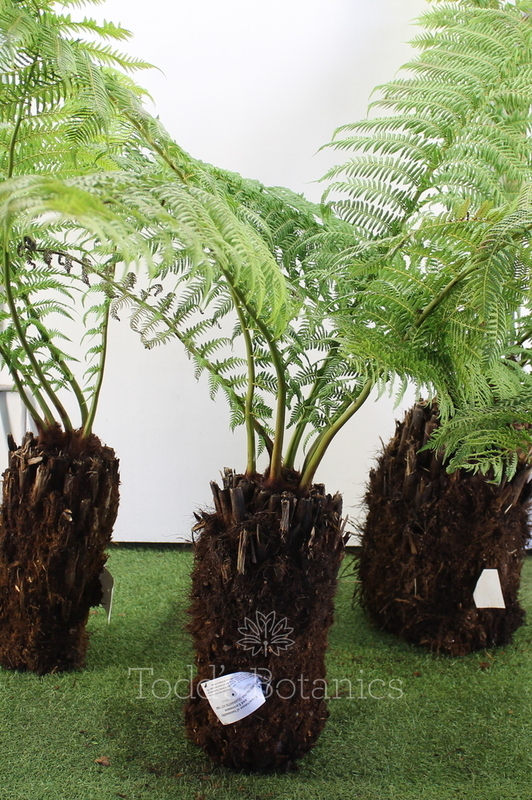 Tree Ferns were orginally bought in to the UK in Victorian times. Ships carrying exports to the southern hemisphere from England needed ballast for the return journey. These seeming weeds were in endless supply and were chosen for their weight. 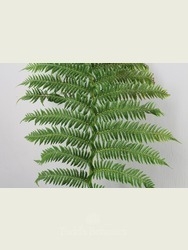 On returning to England the tree fern ballast were offloaded onto the shores of Devon and Cornwall. Some of these orginal examples can still be seen in the prominent gardens of the South West such as Heligan and Tregothnan. 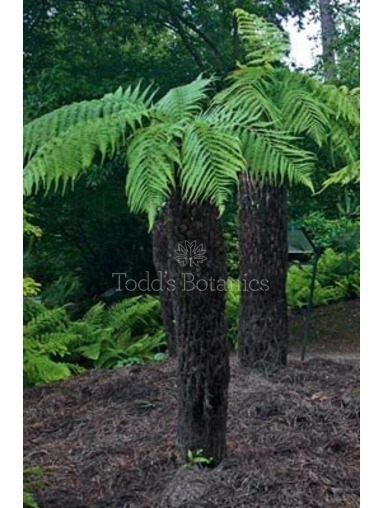 Tree ferns have been growing happily in the UK ever since. 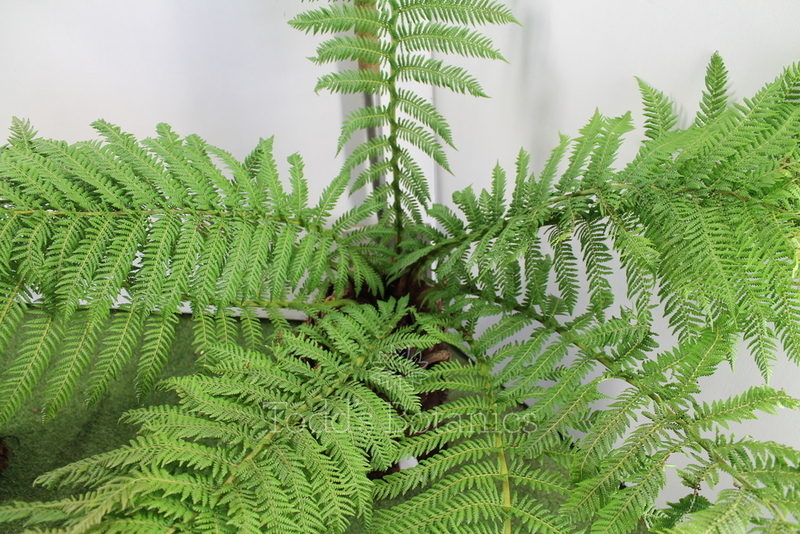 For more information on caring for Tree Ferns please see our tree fern care notes. PLEASE NOTE: If the leaves are too large we will remove them before dispatch, this does no harm as the fronds will re-emerge the following spring.